My Dream. A 33 lb Bag of Dog Food. Hi there! This is Bumble again. 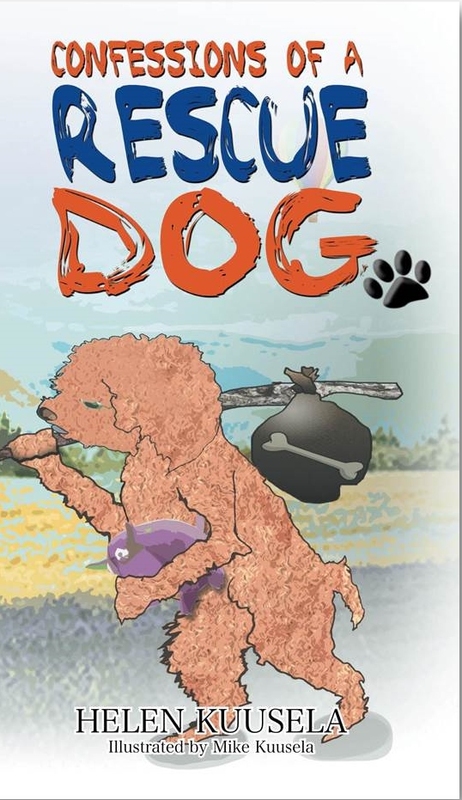 The rescue dog with a blog and wry humor – according to a recent Editorial Review of my book. I admit my humor is a bit dry, or wry, but that’s me. You get what you see. I wish all humans were that way too. But I’ve learned that some people have many faces, like the woman in my first house. She could be so mean to me and my sister when we were alone in the house with her, but when she took us out or to the doctors, she put on another face. A loving human’s. And she lied out of her ears to always look good to others. Oh, well. With 20/20 hind sight, as mom always says, I’m happy the woman left us at the shelter that Christmas Eve many years ago. We both found our loving forever homes with the help of their wonderful staff. Thank you and nose kisses! Anyway, enough about the past. It’s all in the book. The good and the bad, the humorous and the sad. I wanted to write this post ’cause I’m celebrating the nice review by offering the Kindle Edition of my book for 99 cents until Sunday, July 20th, on Amazon.com! I know, 99 moneys sounds a lot. But it’s 99 small moneys. Mom told me it’s less than one dollar. We can’t get even the smallest bag of dog treats for that money at Smart Pet. But now all pet loving humans can get a treat for 99 cents! I thought that if 100 people got the book now that it costs so little, we could provide a huge 33 lb bag of good quality dog food and a few small bags of treats for my friends still living in the shelter. Wouldn’t that be wonderful? So drive to the Kindle store. It’s not very far, only a click away. And thank you for spreading the word! I have put out the word on my Facebook, Bumble. I’ll tweet this out to my followers Bumble! Are you on Twitter, Tiny? I would’ve copied you on my tweet, but didn’t see a twitter account on your site. Hi Nancy – sorry didn’t see this comment earlier. Yes I’m on twitter @tinykuusela. My twitter account is on tinylessons site in the left column. How much is 99 cents? Bumble provides a short piece of economic theory…and reminds that today, Sunday, is the LAST day to get the Kindle Edition of his book for 99 cents.